50% of the amount should be paid in advance in order to confirm the booking. Advance payment will not be refunded if the event is cancelled. Full payment must be done prior to the Event. 5) Event Management Team As Per Request. 6) Videography & Still Photography As Per Request. "A wonderful property exclusively to use as a own home and entertain your wedding guests". 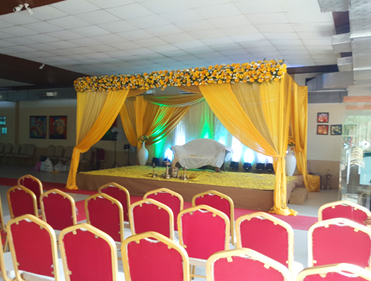 We have fully equipped A/c wedding hall, ample car parking area, garden party area for thousand people. 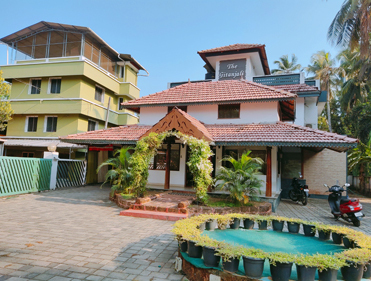 7 rooms luxuriously furnished with satellite Tv connection, Doctor on call, Wifi and Laundry service. 2 minutes away from the Guruvayoor temple, Railway and Bus stations. 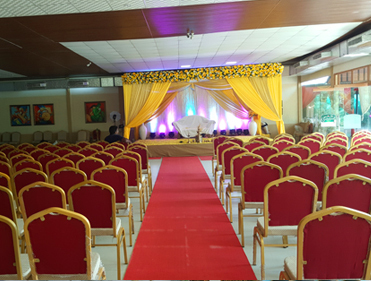 We offer a complete space solution for all your events, situated in the heart of Guruvayoor Township; we readily host all your celebrations so as to meet your expectations. 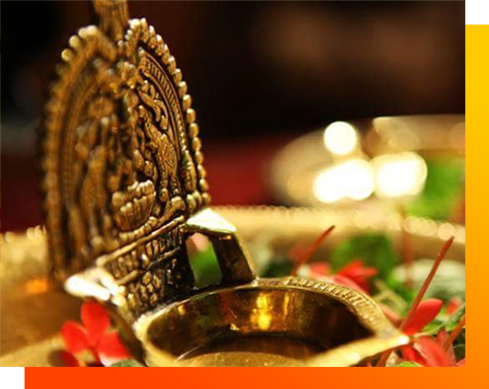 We offer a unique, perhaps first of its kind facility of Guruvayoor with our wedding package. All that you need to do is to finalize your requirements and let us know. Rest, we will take care. We have an exclusive 'Maniyara' for the newly wedded couple for the right to stay. 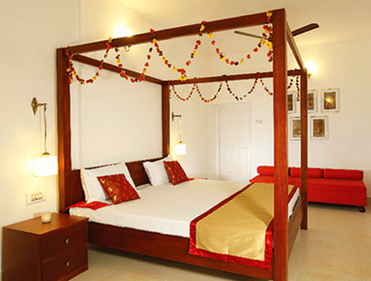 We have water front honeymoon cottages near Guruvayoour for the couples to spend few days after marriage. We understand conceptualize, plan and then create a customized solution for your requirements. Our strength is our relationship with our clients and the understanding of their requirements. Theme weddings are styled and executed with perfection, right from the traditional young damsels with welcome lamps at the entrance or a flowered arch at the bottom of aisle replete with fresh petals to a soft live band or a dream menu that's tailored to your choice. Green lawn for fun activity, concerts, outdoor events. 	One point solution to all arrangements. 	Support for any function related additional requirements. 	Care and assistance by professionals always. 	Offers a wide variety to choose from. Weddings, Receptions, Engagements, Choroon, Birth Day Parties, Upanayana Ceremony, Annual Celebrations, Conferences, Concerts, Cultural Programs, Product Launches etc.